More than twenty-five years ago, a group of Dedham residents and leaders joined together with the goal of starting a new organization to support our community’s public schools and make sure that key programs and initiatives threatened by budget constraints would continue. Since that time, their vision has been realized and the Dedham Education Foundation has awarded $400,000 in grants to enhance student learning. These grants make possible special classroom presentations that supplement the curriculum; field trips to places such as the Lowell mills, the Museum of Science, and the Museum of Fine Arts; innovative programs like the Link Crew at the High School; and educational materials for music, literature, science, and the arts. 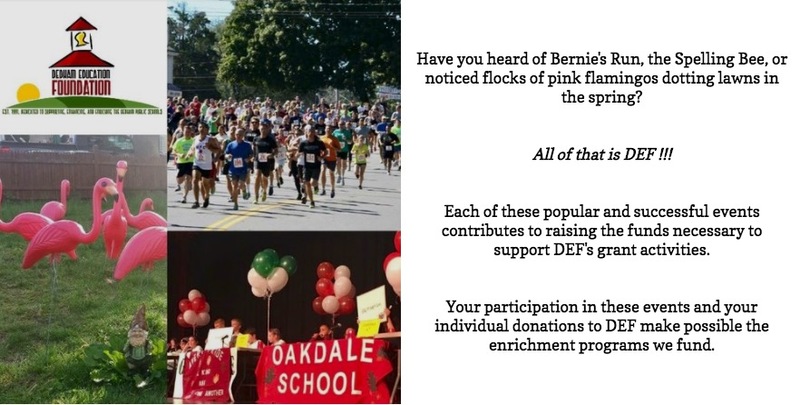 The current board of directors is proud to build upon the principles that drove that original group and works hard to raise funds that will be awarded as grants to keep impactful enrichment programs like these happening in the Dedham Public Schools. Each year, the DEF receives grant requests from all schools and grade levels in the district. These annual requests are indicative of the lack of extra funding necessary to support special enrichment programs, but they are also a credit to the creativity and initiative of Dedham’s exceptional teachers and staff. The DEF Grants Committee evaluates each and every grant. While the DEF would like nothing more than to be able to fund all the worthy proposals, the requests exceed available resources. Nevertheless, as a result of our careful management of our endowment, ongoing fundraising efforts, and the tremendous support from the Dedham community, we are able to provide $20,000 in grant awards each year.